Life might seem like a precarious boat ride on an enraged sea amidst cold showers at times, but still, interlaced with snippets of calmness granted by a sunny day and the pacifying hopes of the sight of a sandy shore past the horizon, the ride can transform into an enticing one at the most unexpected of times. Such a sliver of joy knocked at my door last week, while my days had gone haywire for a few irrevocable matters. For a writer, to receive a mail with the subject emboldened in bright letters which screams out that ‘ YOU WERE PUBLISHED’, in any sort of medium for that matter, would be an intoxicating feeling sans doubt. And one such rewarding moment completely made my day when i received a mail from the Tamarind Rice people notifying me that my story was published in their July issue. Being their subscriber,i could read the issue wholly and all the more easily by downloading the pdf and it wouldn’t be ornamental if i state that i was thoroughly amazed by the quality of the contents, a few by bloggers i read and enjoy on a regular basis too. The readers can vote for their favourite write ups in the vote and win section of the website and better yet, can be winners too in the process if you are lucky. In the August issue, they are breaking free from their usual norms and are sticking to a particular theme, the details of which could be found Here. Go ahead and contribute if your nerve cells have already started firing away at the mention of the theme! 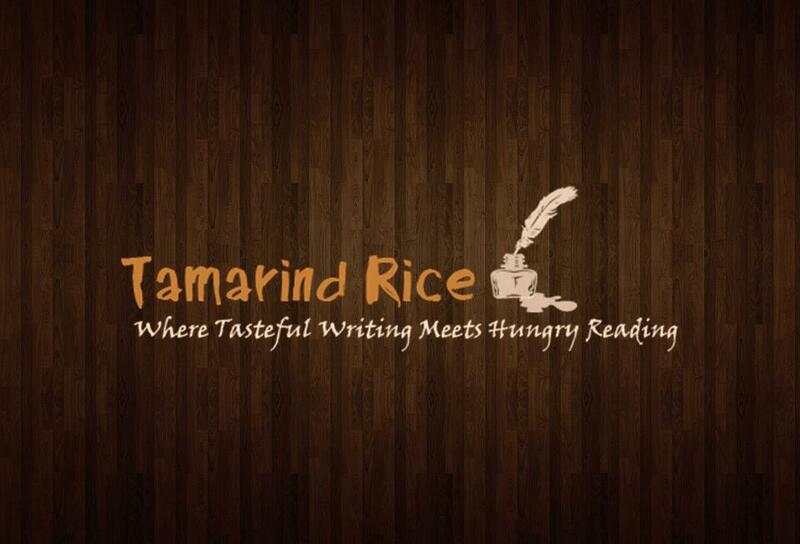 Tamarind Rice, in my opinion stands out from the rest of the online literary magazines owing to the fresh and absorbing contents and the vibrant ideas that they come forward with every new issue. They say, ‘Never to judge a book by its cover’. And maybe extrapolating the idea a little bit, here we could say, ‘Never to judge a magazine by its title’. But i would advise each of you to unhesitatingly go ahead and judge this online magazine by its befitting title, for every little bead of rice in this particular dish is as delicious as it could ever get. You can reach the magazine here at Tamarind Rice. I had re posted my entry in this magazine ‘At The Bookshop’ as a fiction on my blog by another name- That Final Arc. If you like the story, vote for me here at Vote and Win. Good good.. back reading your blogs .. well, any blog, after a very long time.. good to see something good.. Congratulations!